Could someone please explain gimbal lock? I have read the Wikipedia page on gimbal lock, and am still confused about the entire matter. My understanding is that, using a local coordinate system, if you rotate a model about its X axis then its Y and Z axes experience gimbal lock, and become "locked" together. However, my understanding is that if you rotate the X axis, then both the Y and Z axes rotate with it, and as such remain separate. Wikipedia, as always, while a good resource is difficult to understand on this topic. Could someone please endeavor to explain this to a person who does not have a Master's in physics or mathematics? I gather that it's an inherent weakness of just storing three axial rotations (Quaternion, on the other hand, also evaluates orientation value). Here's an article and a video for alternative explanations of the condition. Not the answer you're looking for? Browse other questions tagged transforms coordinates or ask your own question. What are the benefits of Quaternion rotation over Eulerian rotation? 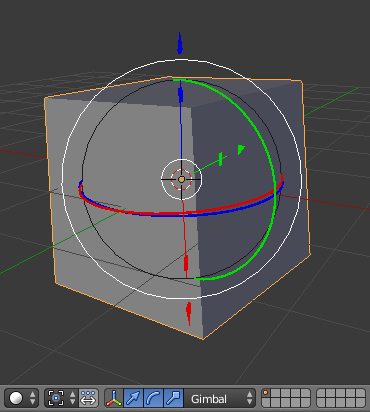 It there a possible way that I could scale all the objects individually? Lock some directions (X,Y,Z) of transformation (scale, rotation, location) in edit mode? How do I lock multiple bones location in Pose Mode? lock edge length - editmode?